It’s National Share a Story Month! Every year in the UK libraries, book clubs, schools, parents and more recently bloggers join in a nationwide celebration of the power and joy of storytelling. Using a range of different events and initiatives – including author appearances to read their work aloud – the book industry celebrates something timeless, and brings it bang up to date. 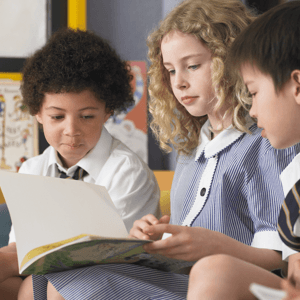 National Share a Story Month is designed not just to promote the wonders of reading – there are already initiatives such as World Book Day for that. It goes much deeper, encouraging and promoting the fact that for centuries stories have offered the most valuable way to expand minds and ignite imaginations. So, in other words, don’t just read. Share the stories onwards. Sharing stories is a bonding experience, not just between children and parents (and grandparents). Sharing stories “includes” the listener, breaking down cultural, religious and ethnic barriers, and promoting diversity. What better way to show someone a glimpse of your world than to share a story that reflects your culture, interests or heritage. Stories can inform and entertain, but also enlighten. Modern authors are well versed in creating age-appropriate life lessons wrapped in stories featuring characters and situations children and young people can relate to. 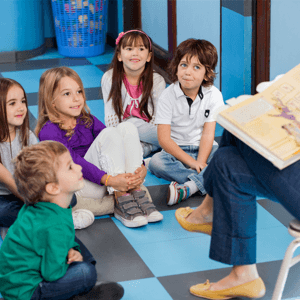 Another reason National Share a Story Month is an annual fixture in the UK is that reading aloud and listening are proven to be soothing and therapeutic. There are even studies to show that encouraging disabled and vulnerable children to read aloud to pets and therapy dogs can have a calming influence on even the most troubled of them. For the rest of parents, there really is no better way to settle a little one for bedtime, or rein in a bored, boisterous or anxious child, than cuddling around a book and turning the pages together. And of course, sharing stories and encouraging reading develops important literacy skills. One of the principle aims of National Share a Story month is to encourage the re-distribution of books, something which is central to the service we provide! And these days there are growing numbers of books around to help you engage in the magic of storytelling. According to figures released at the 2017 Book Fair in London, sales of physical books grew for the second consecutive year (to a record level of £4.4bn). Meanwhile, digital books dipped in popularity in 2016. One of the reasons physical books still enjoy such a firm grip on reader preferences is that for many people no gadget could ever compete with the timeless joy of leafing through pages of prose and illustrations. Plus, book publishers are adept at capturing the moods, trends, and interests of every generation, including reigniting new interest in the classics. 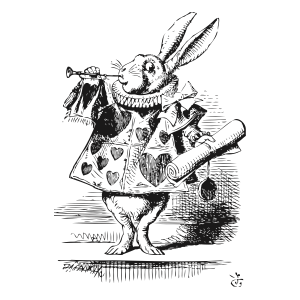 The 150th Anniversary of Alice in Wonderland in 2016 is probably one of the main reasons book sales grew last year. Yet new media personalities know that people love books. That’s why online sensations such as YouTube stars have been bringing out their own books to boost merchandise sales. Share a story and find a new one with our help! We Buy Books offers a golden opportunity to support National Share a Story Month. You can pass on your books, safe in the knowledge that someone else can get pleasure from them. And thanks to We Buy Books, you can not only share stories, you raise cash to buy new ones for yourself. Why not try our book buyback service and share some of your stories today?